The Melbourne Airport Rail Link (MARL) has been given the green light to progress with the Victorian and Federal Governments formally signing off on the $10b project. Using detailed results from the 2012 Public Transport study, a decision was made to select the Sunshine Route as its preferred course between Tullamarine Airport and the Melbourne CBD. 27 kilometres of new track will connect Southern Cross station in the CBD to the airport via the “super hub” at Sunshine. 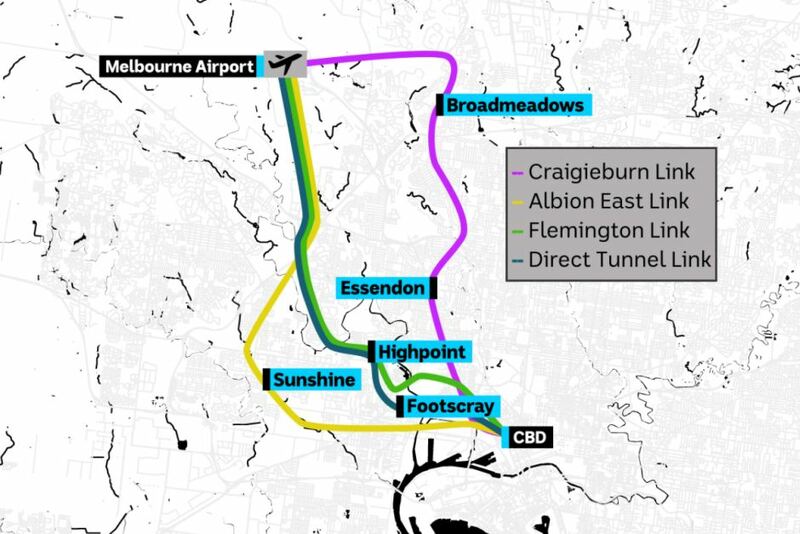 There will also be twin tunnels between Southern Cross and Sunshine and a new underground rail station at the airport. The Victorian Government will match the Federal Governments $5b cash injection towards the construction of the rail link. The Australian Government’s commitment of up to $5 billion to the Melbourne Airport Rail Link will be funded with $2.5 billion allocated from the Infrastructure Investment Program and $2.5 billion from the National Rail Program. The MARL is expected will be completed in 2031.